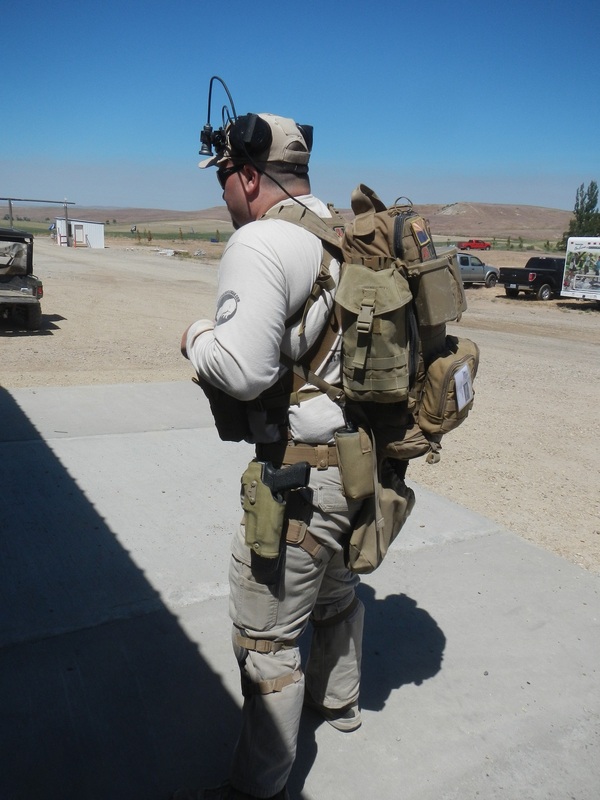 I’ve never been a fan of using carts or converted strollers to carry my ammo and gear around the range at 3 Gun Matches. 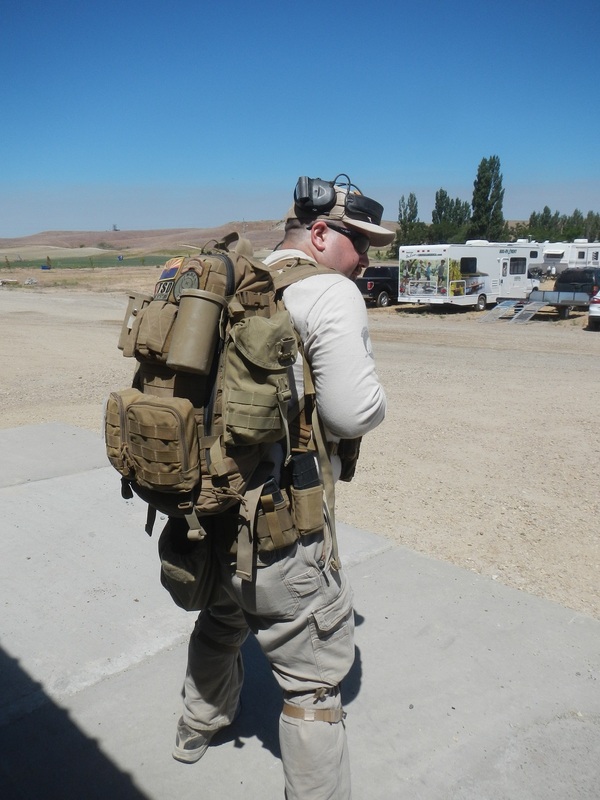 Using a pack and a double long gun case works at any range regardless of terrain and stores in a vehicle much easier. Conversely traditional range bags are often too heavy when fully loaded down to carry comfortably with a single shoulder strap. A good backpack makes carrying everything stage to stage much easier. 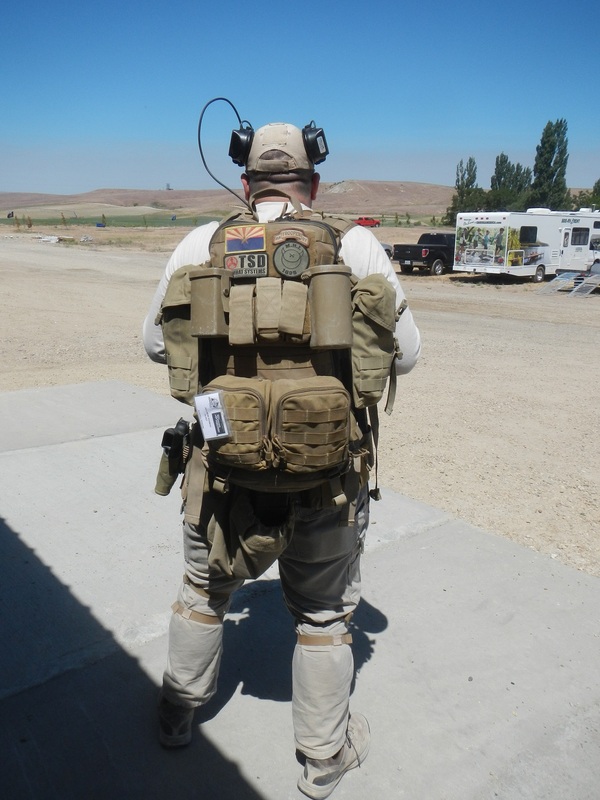 One of my sponsors, Honor Point USA, makes the Joint Assault Combat System Pack I currently use. My JACS as currently configured. The external VIP Trauma Kit pouch is also made by Honor Point. 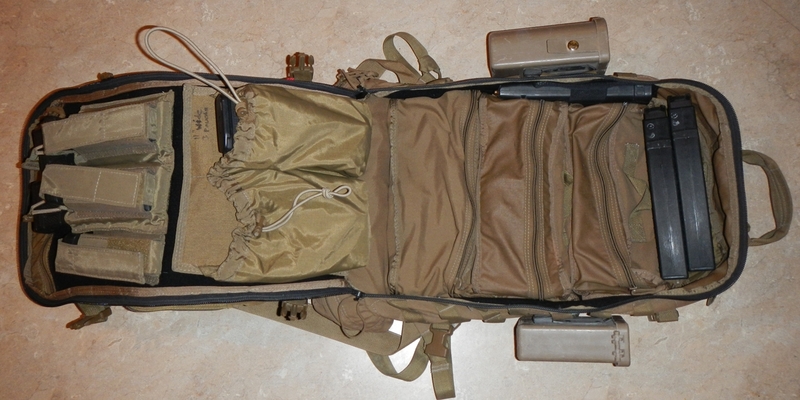 Inside it I have Israeli trauma bandages, Celox, and a CAV-MFG tourniquet. I also have bandaids and disinfectant wipes to deal with common minor injuries that can occur during stages (mostly cuts to hands or scrapes). One of the things I really like about the JACS is that it lays open flat. I don’t have to unload the whole thing to get at what I need. The inside of the JACS is lined with velcro that pouches can attach to. Conveniently three removable bags fit one one side. I use them for pistol ammo/mags, rifle ammo/mags, and bird shotshells. How much ammo I load up with depends on the match I’m going to. You can see that the JACS is wide enough to lay 40 round PMAGs with KE Arms extensions side ways. 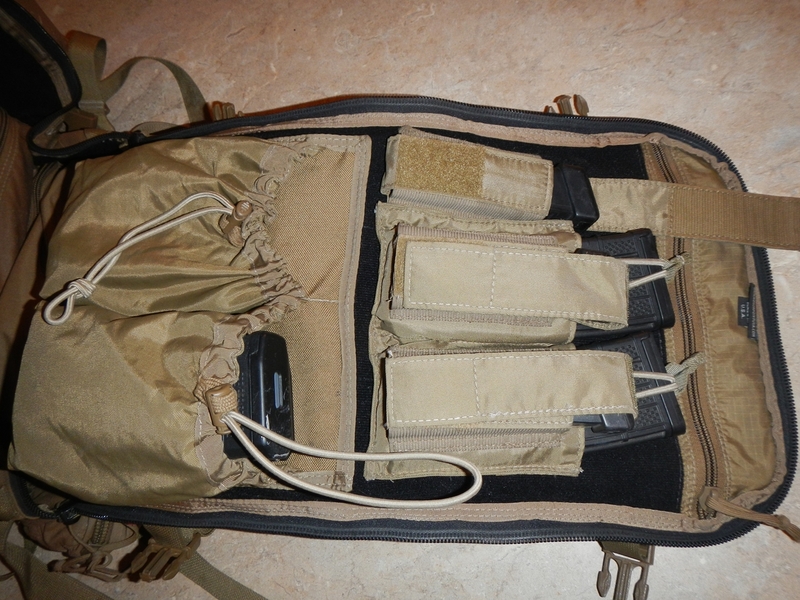 These bags can also be flipped inside out and attached to MOLLE webbing with the straps that are sewn on. 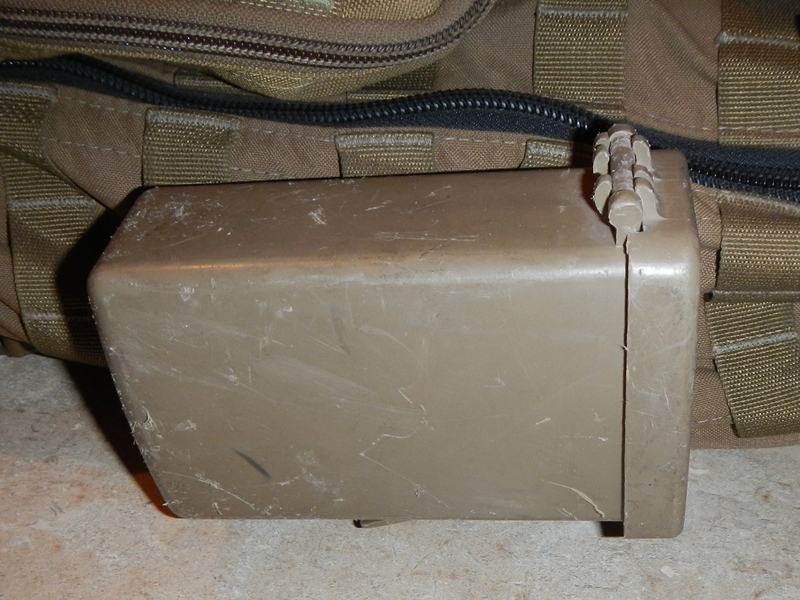 On one side I also have a Maxpedition pistol mag pouch for my Glock 30 rounders. On the front face of the pack folded open I have Honor Point’s Rifle/Pistol mag combo pouches and a single pistol mag pouch. 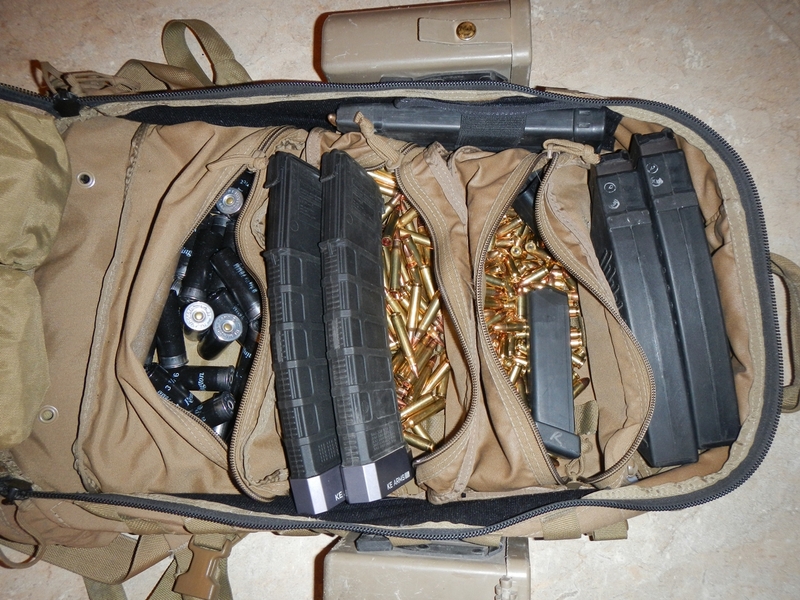 The bag style pouches with elastic cords I use for shotgun slugs and a coupled 30 round AR mags. Gloves, Pancho, and knit cap in the bottom of the JACS just in case to deal with unexpected environmental conditions. Hard cases by Tactical Tailor. Left larger case is for my Wiley X Glasses (I have clear and tinted models). Right smaller case is for my digital camera. 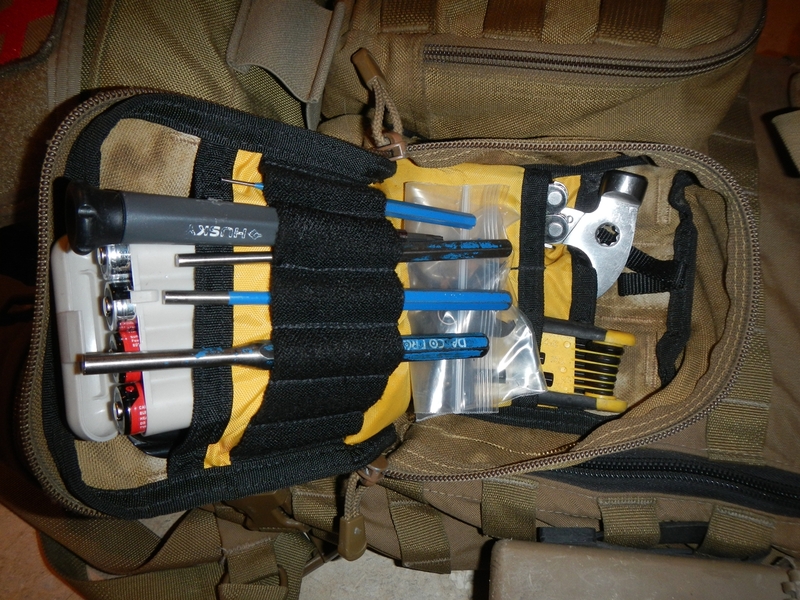 Spec Ops Brand Organizer Pouch. 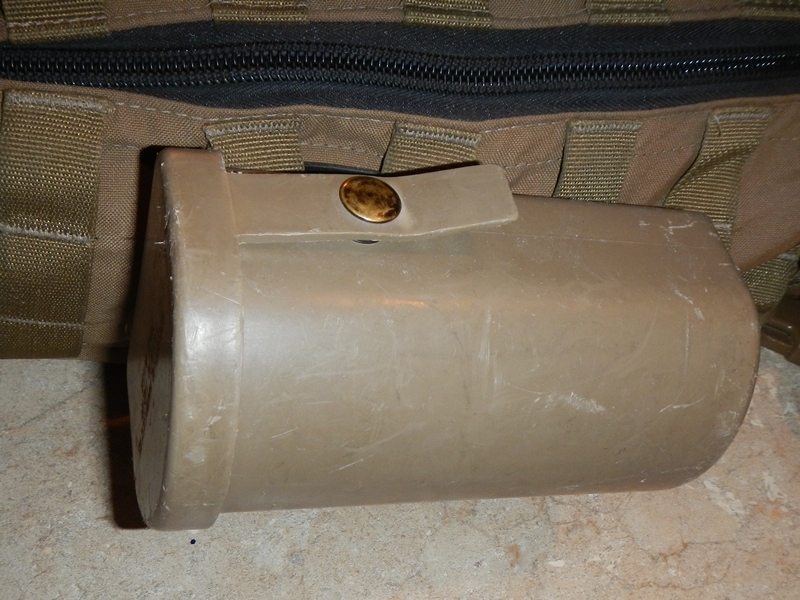 This one I use for tools, spare parts, batteries, and lens care items. 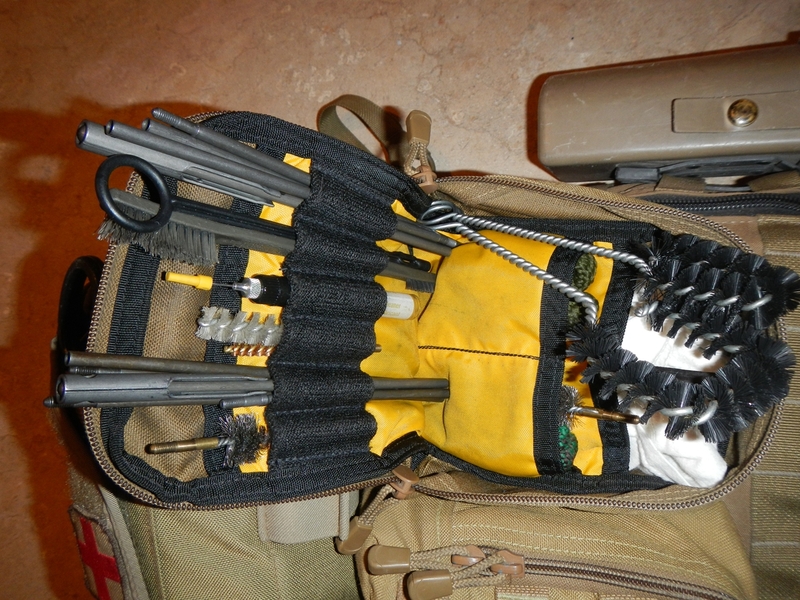 Tools: Punch set and hammer, Leatherman multi-tool, allen key multi tool, eye glass repair kit. 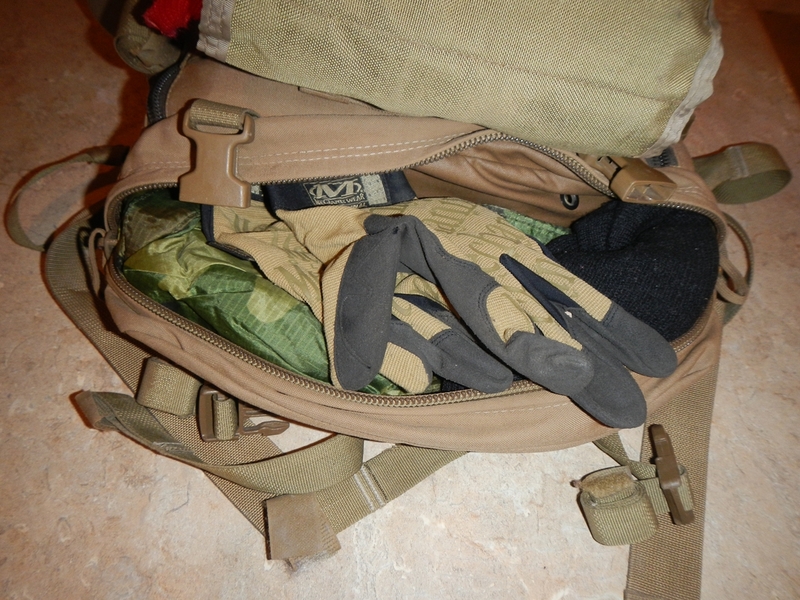 Spec Ops Brand Organizer Pouch for cleaning supplies. The JACS loaded down at Ironman 3 Gun 2014. This may seem like a lot of stuff to carry around the range, but it should handle any issue I’m likely to encounter at a major event. 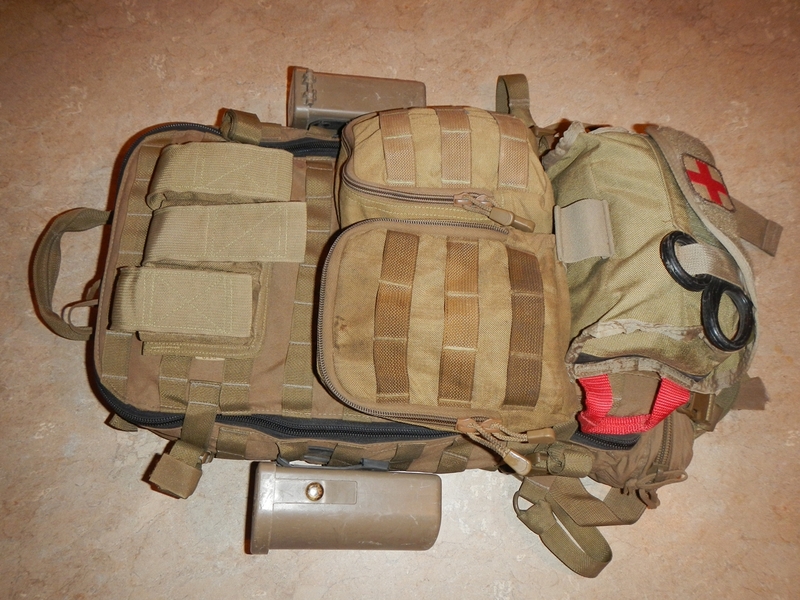 This entry was posted in Competitions, Gear, Ironman 3 Gun. Bookmark the permalink.